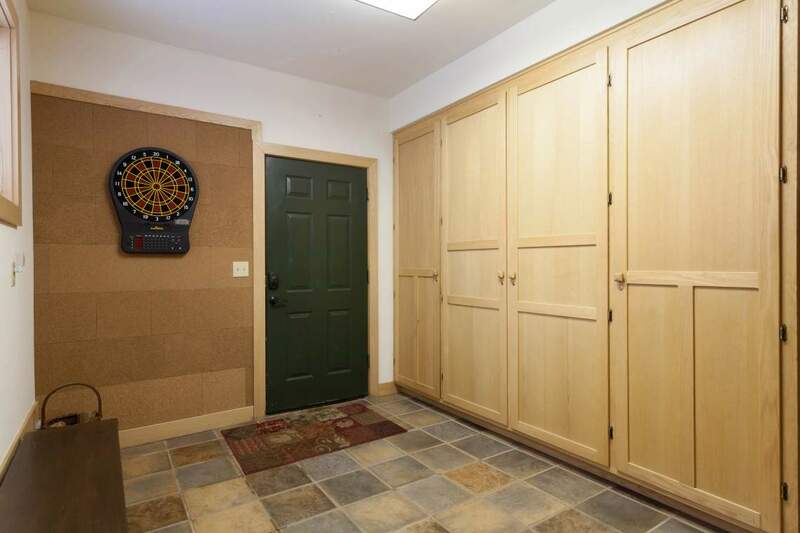 BACK BY POPULAR DEMAND is the Eddie Bauer Home. 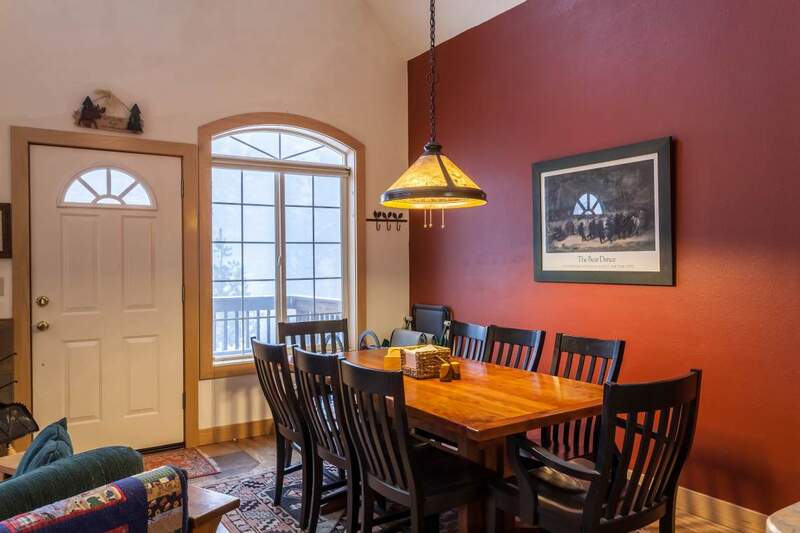 A very popular rental in the past because of its proximity to Royal Gorge Cross Country ski center and quick access to Sugar Bowl. Also its nice southern exposure makes for a very warm and sunny location. 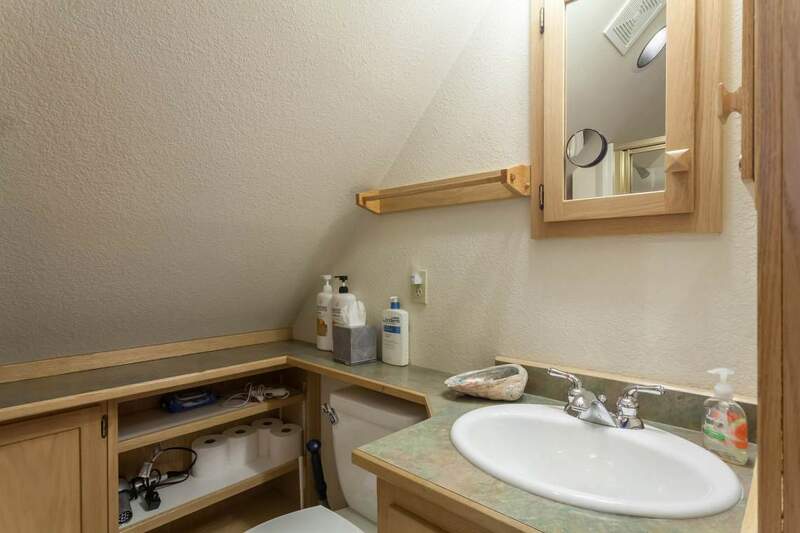 Pet Friendly (1 dog only) 4 bedroom 2 bath, 1650 sq feet. 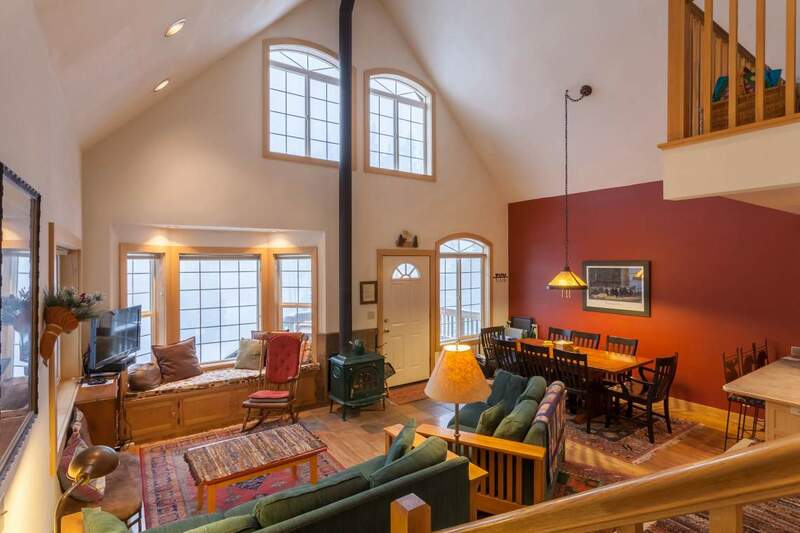 Our family had a lovely time staying in the Eddie Bauer home for a ski weekend. We loved the design of the cabin—it is so spacious yet cozy. 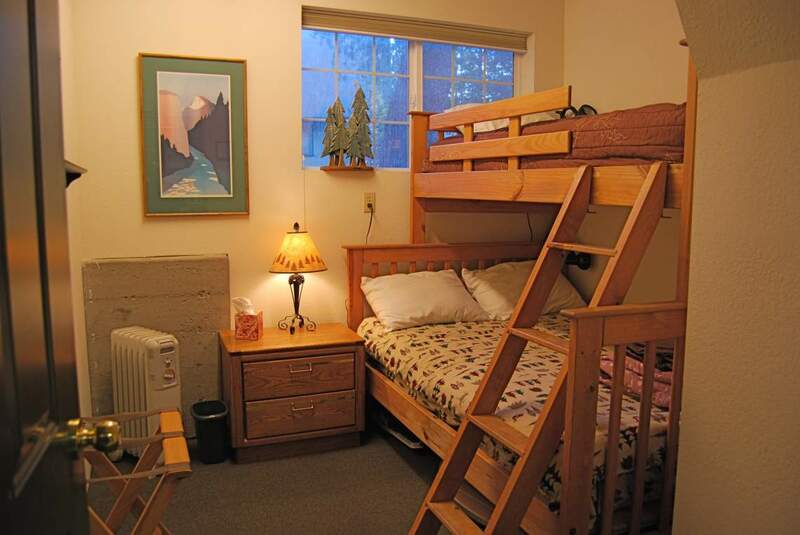 The cabin was extremely clean and comfortable. We also loved the fireplace! We've said many times since our stay that we hope to stay there again soon! We had a very nice stay. It was comfortable and suited our needs well. We hope to return. The house was perfect for our party of 7. It was very clean, comfortable and well appointed. 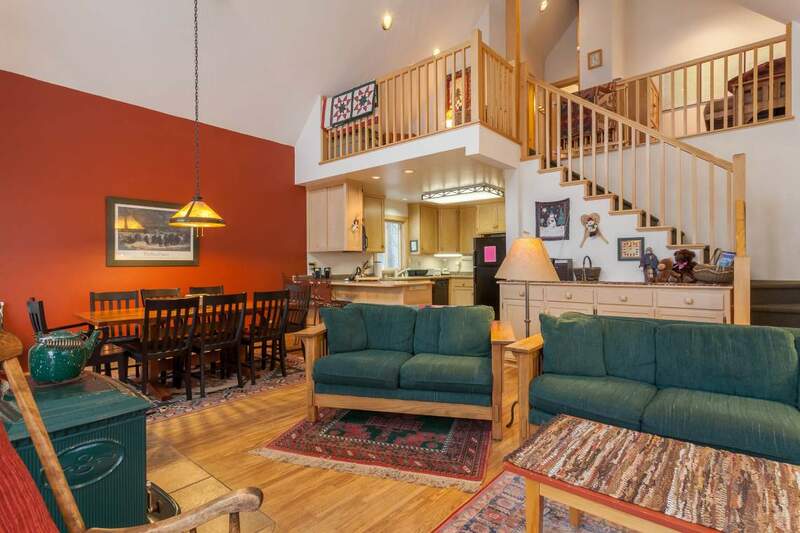 We enjoyed the convenient location, walking distance to Royal Goege and Soda Springs resort and a short drive to Sugarbowl. Kitchen setup was great. Down side was only access to 4th bedroom was through the garage on the lower level, and not suitable. Fortunately there was plenty of room without it. This was a great home for 3 families to enjoy for our weekend. 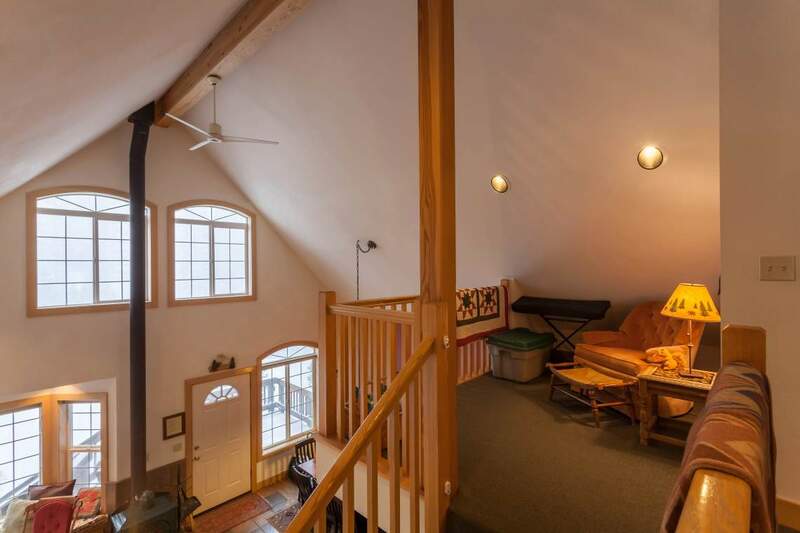 The upstairs was perfect for a young family of four, and a dog! The small children and mom and dad had a large bedroom along with a relaxing play loft,with a gate to keep the kids upstairs!! And it came with "boy" perfect toys to keep the kids happy for hours!! The bedrooms the main floor were perfect for the adults. 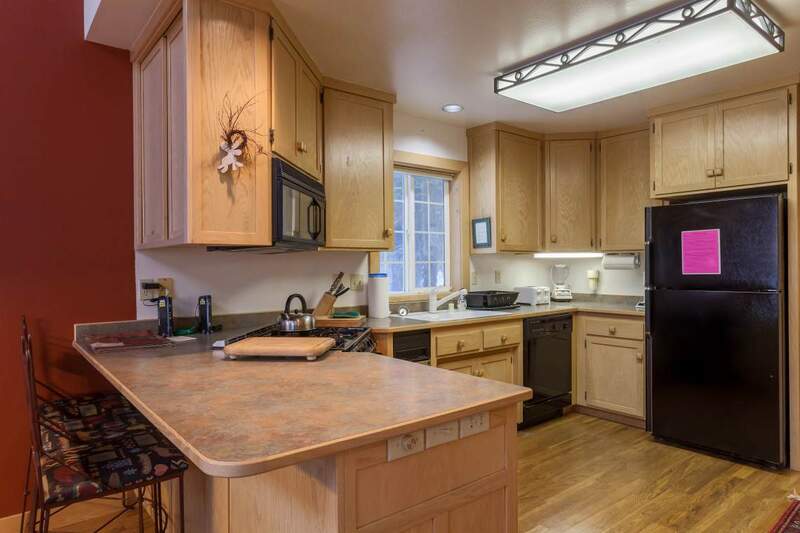 Pretty well equipped kitchen with a nice supply of spices. We would certainly stay here again for a longer period! 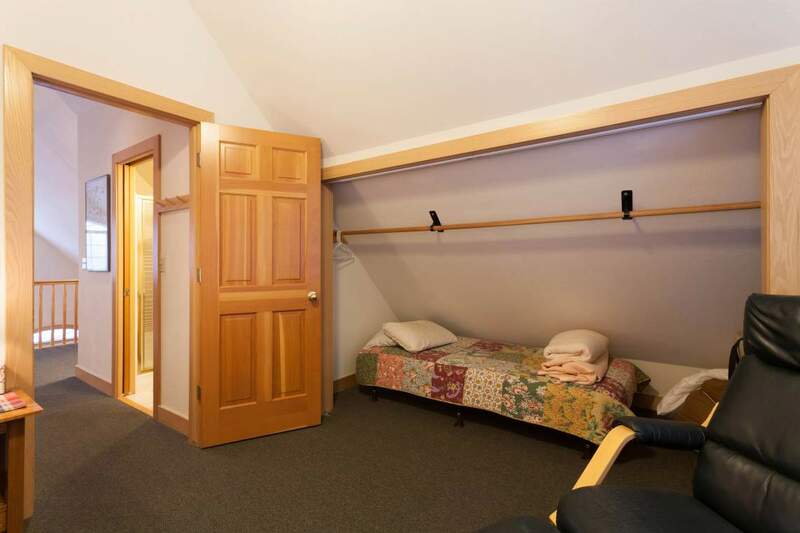 Nice place, nice entry room downstairs to take off wet/snowy gear. 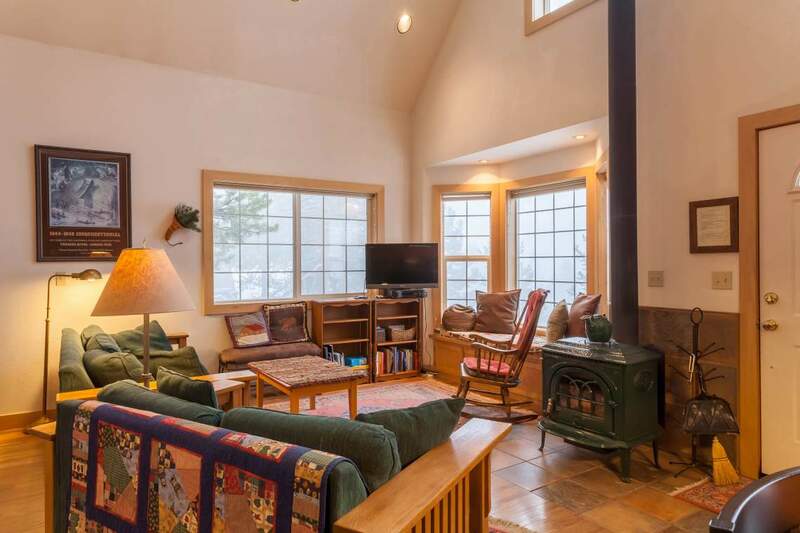 Very convenient to neighboring ski areas & cross country trails. We had a big snowstorm; both driveway & local streets were plowed very promptly which was great. 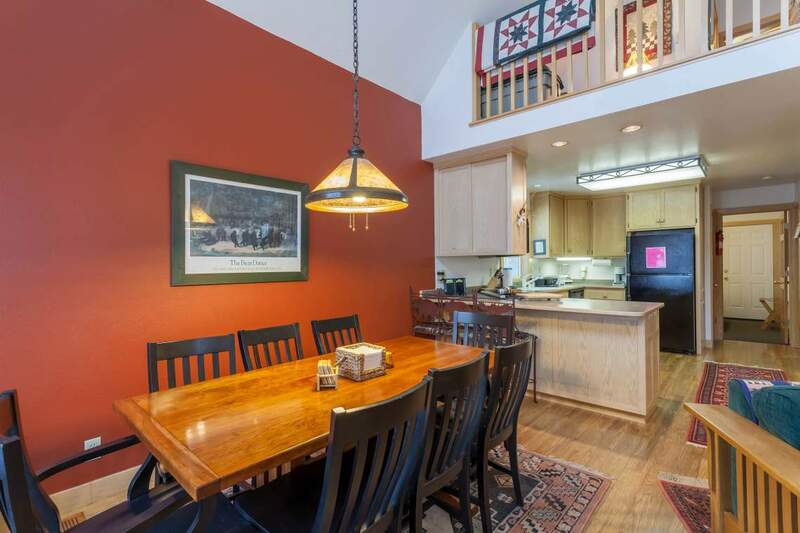 This was a great house, just a couple of blocks to walk to Royal Gorge, very well supplied and comfortable. We have stayed in numerous houses in the Serene Lakes area and like this one the best. 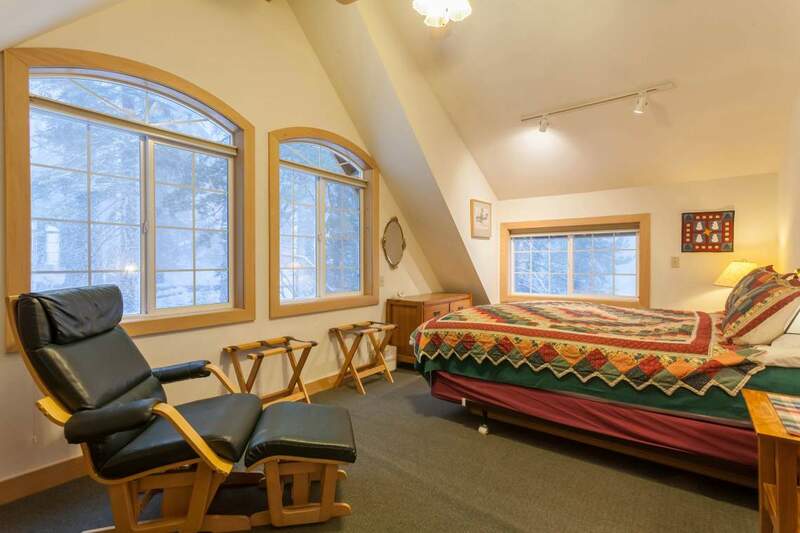 It has a 2 car garage, a convenient ground floor room for dropping off skis and snow shoes, even an electric piano for those inclined. The kitchen equipment was top notch, very well selected. We were there during a blizzard and the management was very responsive to our special needs. We enjoyed our stay at the Eddie Bauer house, and we found the home, furnishings, appliances, etc., all clean and in good condition. Our group included 2 families, 6 people total, with 4 adults and 2 kids. 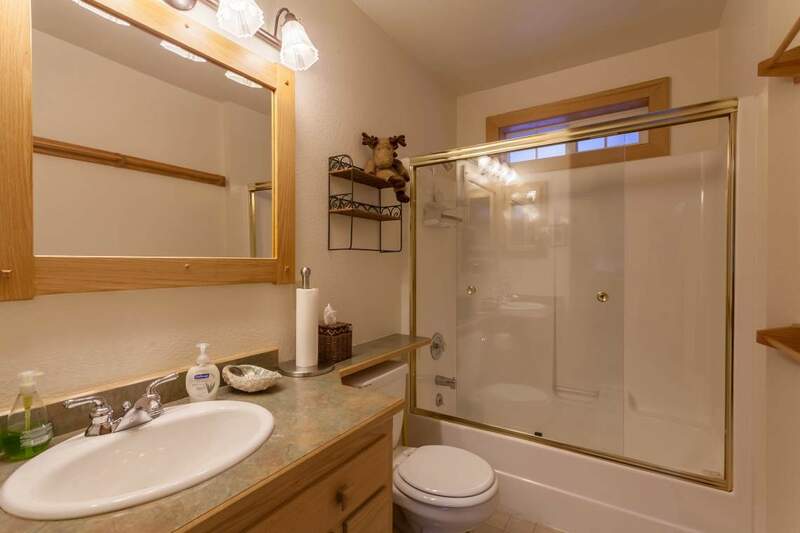 The kids shared the master bedroom and bath on the upper floor, while parents took the 2 smaller bedrooms on the main floor, which shared a bathroom off of the kitchen. The house was comfortable and cozy for our size group. We invited another family of 4 to join us for dinner one night, and we used every place at the table and kitchen counter for the 10 of us! The kitchen is reasonably well equipped, with several (older) pots and pans and plenty of dishes, glasses, mugs, and utensils. We appreciated having some basic spices and cooking oil as a start for our meal prep, along with lots of paper towels and napkins. Beds were fairly comfortable, although a larger selection of pillows might be nice to suit those who prefer a thicker pillow. Towels were clean and fluffy, and the water pressure in the shower was great. Heating worked well. We liked having access to the garage during our stay, although it should be noted that the opening is fairly narrow. We folded in the side-view mirrors on our SUV to make the entry possible. On the evening of our arrival, the driveway was plowed but slippery. In fact, the other family's car slid down the driveway after being parked at the top! I contacted the rental agency about this, and they brought sand to the house and sprinkled the driveway while we were out for dinner that night, which was extremely helpful. No problems after that. There is an additional parking spot halfway up the drive to the right, which was handy as well. 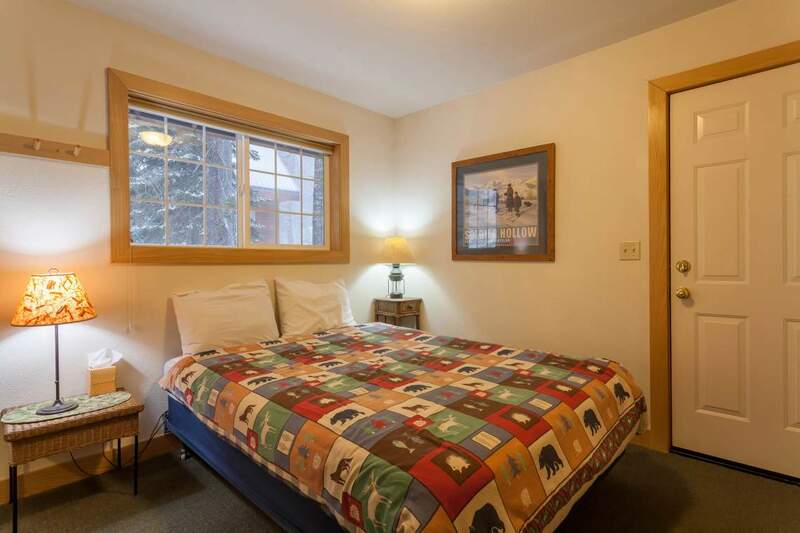 The location of the home is great for those who like cross-country skiing or who want to give it a try. Royal Gorge is just a block or two away and has extensive trails for all abilities. 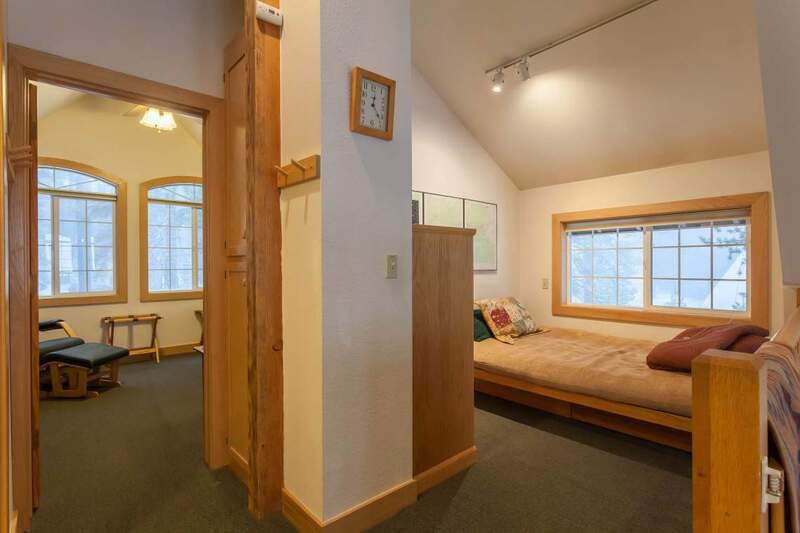 For those who prefer downhill skiing, Sugar Bowl is just 10 minutes away by car. The lodge at Sugar Bowl is great for dinner, too--just be sure to get a reservation in advance. We also rented snowshoes nearby at a little shop by the blinking traffic light on Donner Pass Rd. All in all, a great trip! We'd be happy to rent the home again. Our family enjoyed a wonderful ski vacation staying at the Eddie Bauer house! 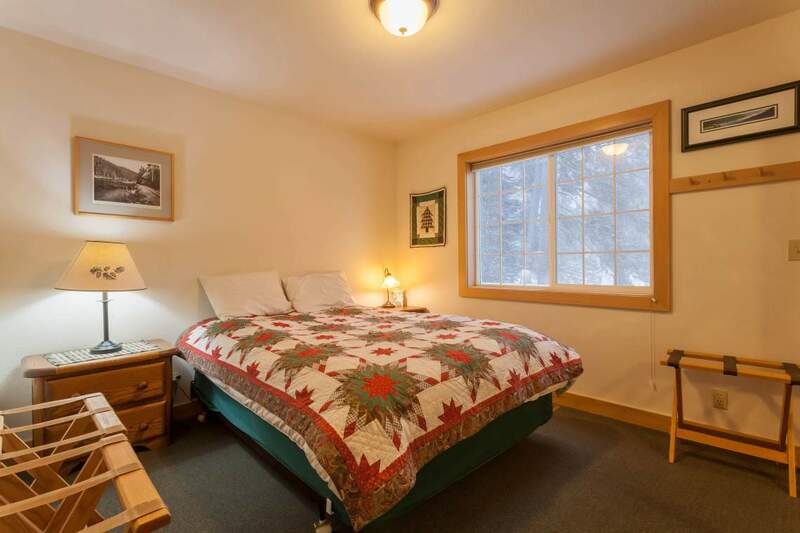 The house is very efficiently organized to comfortably accommodate lots of vacationers. 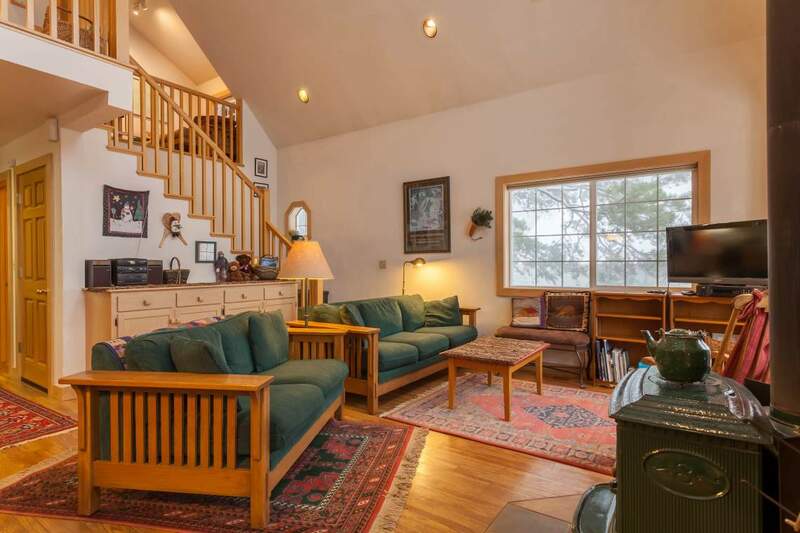 The house has a very comfortable living room area with lots of natural light and attractive area rugs. We enjoyed the cozy, easy to use fire place. The beds were comfortable and my brother appreciated the fact that he could include his small dog. The skiing was great, which is just the luck of the draw regarding snow conditions. We'll look forward to coming once again to the the Serene lakes area for our annual winter ski vacation. Thanks.